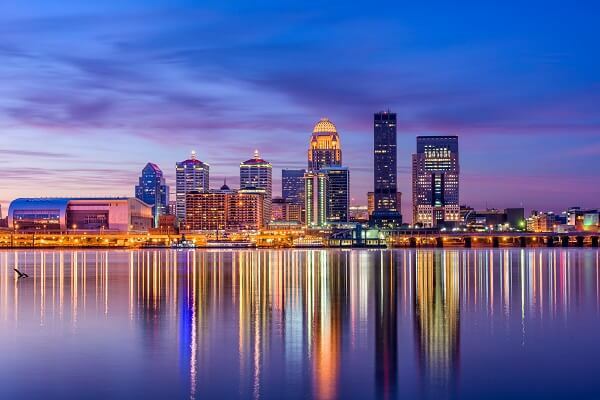 Louisville, Kentucky, is home to top-notch medical facilities, leading universities, and innovative tech companies. It is also home to the main office of the U.S. Attorney’s Office for the Western District of Kentucky. As a result, it is also a hotspot for federal investigations targeting health care fraud, opioid fraud, and computer fraud; and local practitioners, executives, and entrepreneurs are routinely finding themselves in the government’s crosshairs. If you are being investigated for a federal crime in Kentucky, you need experienced legal representation. The investigators and prosecutors handling your case are extremely good at what they do, and they are driven to put criminals behind bars. Many federal fraud statutes are far broader than most people realize, and charges for conspiracy, tax fraud, mail and wire fraud, and money laundering can add years (if not decades) to a federal sentence. As a result, regardless of your thoughts on the merits of the government’s investigation, you need to take the investigation very seriously. This means understanding the allegations against you, identifying all available defense strategies, and hiring an experienced defense lawyer to execute these strategies on your behalf. Dr. Nick Oberheiden is a federal defense lawyer who has successfully represented hundreds of clients in investigations, plea negotiations, and criminal trials. With particular experience representing health care providers, Dr. Oberheiden’s client list includes licensed professionals, C-level executives, board members, companies of all sizes, and entrepreneurs. He has helped the majority of his clients avoid charges entirely. And when his clients’ cases have gone to court, Dr. Oberheiden has been successful in avoiding convictions and minimizing sentences to the greatest extent possible. No charges for a client investigated for an alleged drug diversion overdose. No charges for a client facing a potential life sentence for federal drug crimes. No charges for a health care provider forced to go in front of a grand jury. No charges for a health care provider targeted in an opioid fraud investigation. Probation for a client facing long-term imprisonment for a severe computer crime. Q: Why Am I Being Investigated by the DEA, FBI, IRS, or OIG? Most federal investigations result from tips, statements from co-conspirators, and the government’s increasing reliance on data analytics. Dr. Oberheiden can determine the origin of your investigation after he gets involved. But, regardless of why you are being targeted, you need to begin defending yourself immediately. Q: If I Am under Investigation, Does This Mean That I Am Going to Be Charged? No, not necessarily. While each case is unique, Dr. Oberheiden only seeks to help clients avoid charges even when facing intense scrutiny in federal investigations. Q: Is It Worth Hiring a Lawyer If I Am Guilty? Never assume you are guilty. Even if you think you committed a crime (and even if you have, in fact, committed a crime), you may still be entitled to a not-guilty verdict in court. Q: Is It Possible to Avoid Prison Time under the Federal Sentencing Guidelines? Yes. While most federal crimes are felonies that carry the potential for long-term imprisonment, when necessary, Dr. Oberheiden has been successful in helping a significant number of his clients obtain probation and other lesser penalties. Q: How Do I Hire Dr. Oberheiden to Represent Me? To hire Dr. Oberheiden, call 866-Hire-Nick for a free initial consultation. If you would like to speak with Dr. Oberheiden about your federal investigation or prosecution in Louisville, Kentucky, please call 866-Hire-Nick to schedule your free initial consultation. You can call 24/7. And if Dr. Oberheiden cannot take your call immediately, he will respond as soon as possible.